The curator of the Environment category, gallery director and photography guru Laura Noble, selected this image from my recent shoot for Avaunt Magazine to feature in this year's AOP Awards, held at the Old Truman Brewery on Brick Lane. 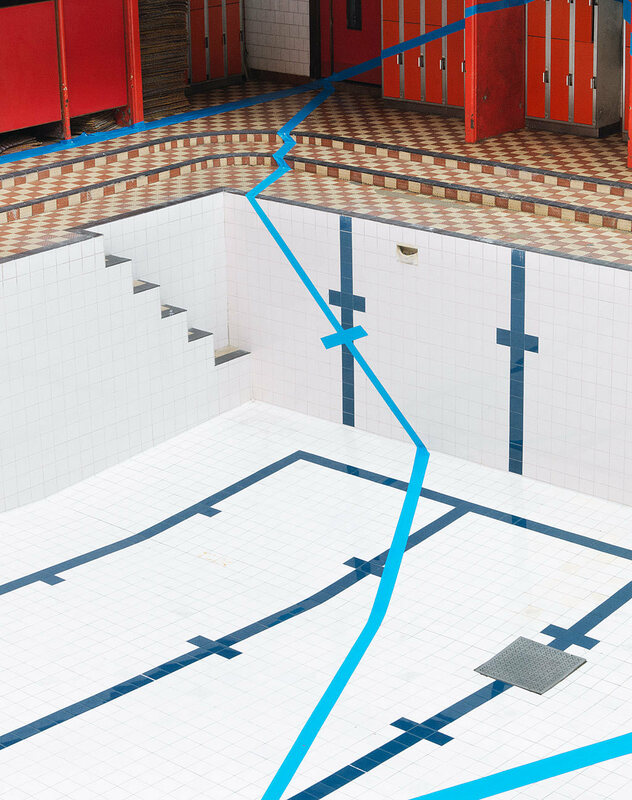 This whimsical project involved taking a disused swimming pool in Glasgow and working with street-art specialist TSF Crew to install an anamorphic tennis court using 2.5km of blue gaffer tape. The peculiarity of anamorphosis is that the intended image can only be viewed properly from a single point, and looking at it from anywhere else gives a distorted perspective. This image captures what appears to be an abstract installation of tape which when viewed from the right place actually depicts a straight line. Check out the rest of the series here. Thanks to Avaunt Magazine and especially to Director of Photography Madeleine Penny of StudioMM, who saw the potential in my idea and moved mountains to make it happen.